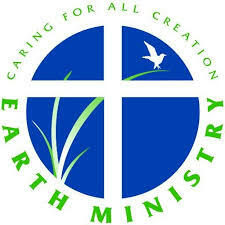 Catholic Climate Covenant has created a bulletin inserts resource. The bulletin insert collection is free to download and offers 75 weekly tips including seasonal and holiday tips. To read more or download the bulletin inserts, click here. Agricultural Ethics for a Global Generation is a series of one-page sheets discussing different agricultural topics. They were created by Catholic Rural Life for the purpose of being used as bulletin inserts, handouts, or even letters to elected officials. They cover topics such as stewardship of the land, the churches role in agriculture, food security for the poor and vulnerable, and more. To read more or download the sheets, click here. Canada’s two largest churches, which represent two-thirds of Canadian Christians, have come together and declared that climate change and ecological degradation are central concerns for Christians. The declaration is found in, “The Hope Within Us,” a document released on July 23rd from the Roman Catholic-United Church of Canada Dialogue in Canada.